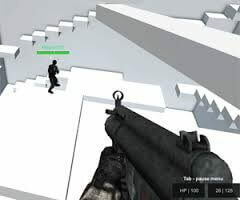 Description : America’s Army is a 3D tactical shooter developed by the U.S. military on the engine of Unreal Tournament 2003, together with NVidia. 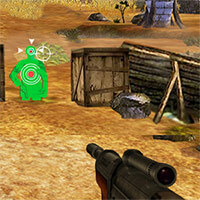 The game that wants to be very realistic puts you in the shoes of an American soldier assigned to various missions. Many missions are available, and developers are adding to it with each new release. You will for example cut the valves in a pipeline with your team, or prevent the other team off the valves. You get honor points which give you access to the following missions. 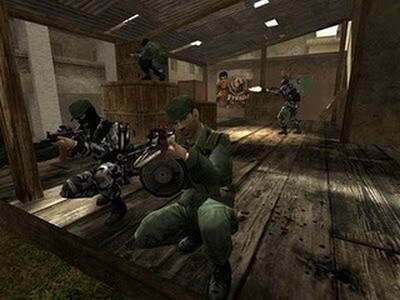 In addition to being free in spite of its high technical quality, America’s Army has the advantage of being supported by hundreds of reliable official servers. The Army Game Project was conceived by Colonel Casey Wardynski and is managed by the U.S. Army’s Office of Economic and Manpower Analysis (OEMA) at the United States Military Academy, West Point, New York. Wardynski envisioned “using computer game technology to provide the public a virtual Soldier experience that was engaging, informative and entertaining. The game is financed by the U.S. Government and distributed at no cost. The free Windows version can be downloaded on the Internet. Game discs are also distributed at U.S. Army recruiting centers and events. America’s Army has ranked among the top ten online PC action games with almost 9.5 million registered players who have completed over 380 million missions from basic training to operations in the War on Terrorism. America’s Army is a 3D tactical shooter developed by the U.S. military on the engine of Unreal Tournament 2003, together with NVidia. The game that wants to be very realistic puts you in the shoes of an American soldier assigned to various missions.